Student as an individual: Student learning is facilitated and enhanced through personalised learning. Teaching and learning approaches used should recognise individual differences across students in terms of their learning needs, learning preferences, interests and progress, and allow for greater individualised attention, for example through the use of adaptive digital learning tools, and flipped classrooms. Student as a social being: Student learning is facilitated and enhanced through collaborative and interactive learning. Teaching and learning approaches should allow students to interact, discuss and debate with others, and include interactive seminars, and problem-based learning. Student as a member of a community and as a citizen: Student learning is facilitated and enhanced through experiential learning. 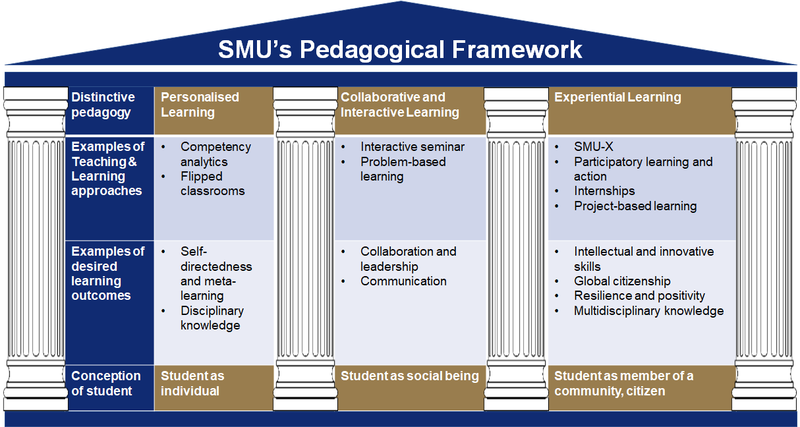 Teaching and learning approaches should empower students’ contributions to their community and include SMU-X, participatory learning and action, internships, and project-based learning. Mayes, T., & De Freitas, S. (2004). Review of e-learning theories, frameworks and models. Singapore Management University (2018). 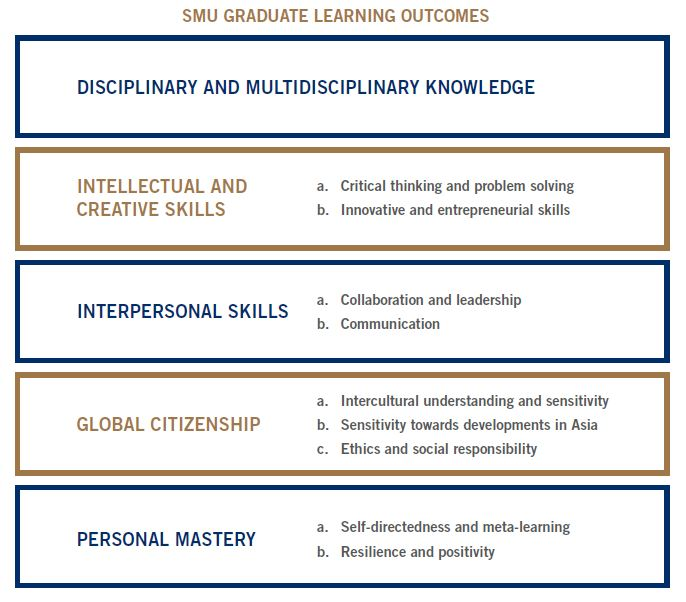 SMU Blue Ribbon Commission on Undergraduate Education Report.